The Cat and the King: Hey, Shimano! This isn't supposed to happen, is it? I was doing a bit of cross-country riding, and suddenly BAM! 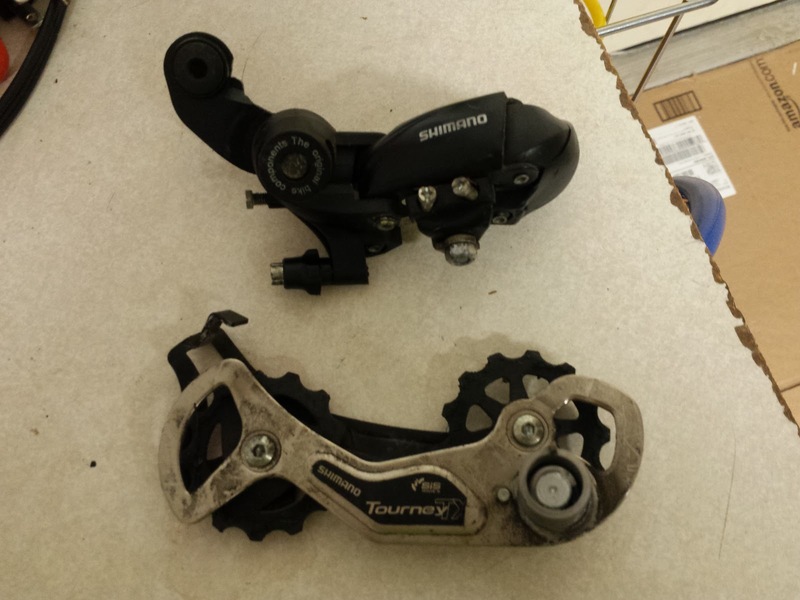 The rear wheel stopped turning because half of the rear derailleur got bound up in the spokes. Lucky for me I had a spare.